The Alcantarilla Town Hall presented us with the challenge to locally promote an App developed by the Town Hall and Hidrogea: Alcantarilla Smart City. As part of the challenge, we also had to invite Alcantarilla residents to download and use the App. 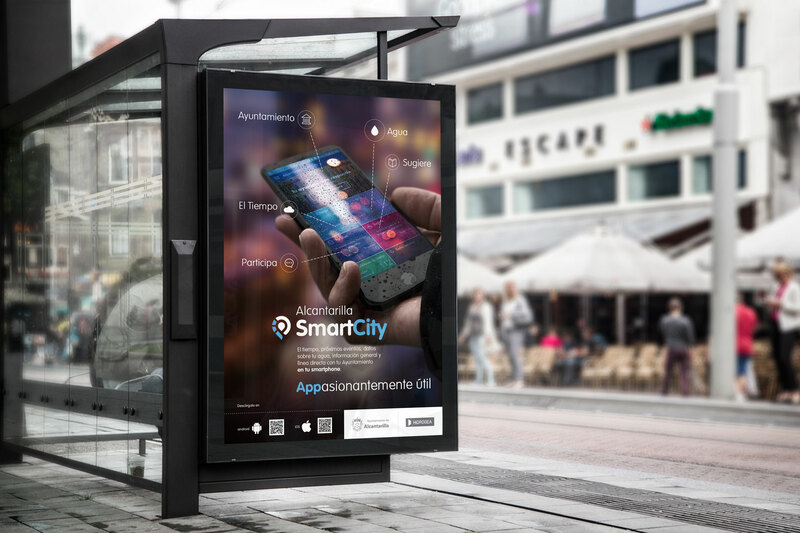 Alcantarilla Smart City establishes a direct line of communication with citizens, allowing them to interact with the Town Hall in real time and to receive in their devices updated information on water consumption, the weather, events, etc. The difficulty was to “shock” citizens, regardless of whether they were new technology users or not, as well as to inform them on app advantages. 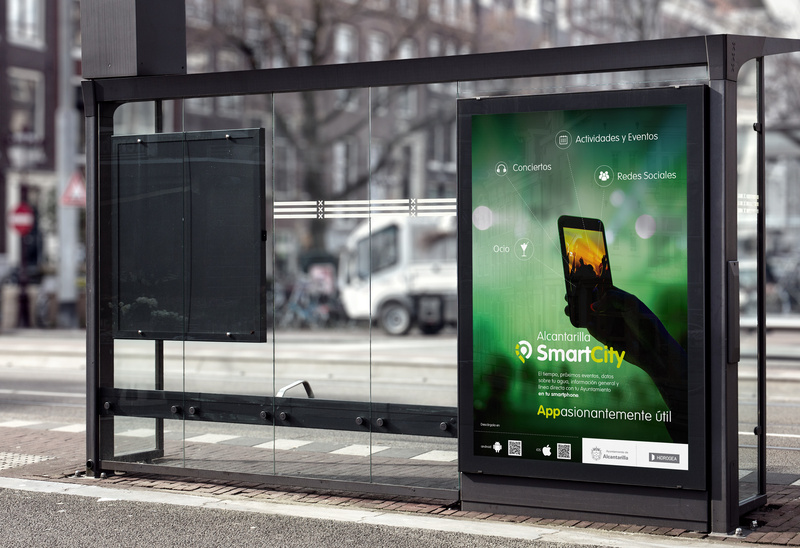 To meet this challenge, we redesigned the app logo and came up with creative ideas based on a common concept, developing a set of parts aimed at different target audiences and media, both offline and online: muppis, flyers, roll-ups, radio slots and billboards. For the online channel, we developed informative banners, videos and graphs for social media. Combining all channels, we managed to reach and impress citizens, thus meeting set targets.